We all enjoy the stories of those small startups that have gone on to enjoy booming success. But as a financial advisor, I’ve also seen plenty of well-intentioned ventures go awry and severely hamper the portfolios and financial plans of those involved. As entrepreneurs, ambition is in your blood and channeling an incredible amount of time and effort into your company’s success is only natural. However, it’s crucial to avoid developing tunnel vision and losing sight of your personal financial situation. The more you can keep your personal financial assets and goals independent from business ventures, the better. Entrepreneurs sometimes have a tendency to go all in and pour their entire portfolio of assets into a business venture, a strategy that can backfire and create even more risk. For example, envision a scenario in which someone borrows from their personal 401(k) or liquidates their IRA in order to finance a business idea. In the event the business fails, he or she now has little financial cushion to fall back on. Recognizing that most ventures require at least some personal dollars to get off the ground, I recommend entrepreneurs look to their discretionary spending budget. This bucket of cash is generally reserved for non-essentials, meaning it’s unlikely to deal a devastating financial blow if lost. Keep in mind the rest of the discretionary budget may require some pare downs in order to make an ongoing business investment plausible. Most entrepreneurs will agree that starting a business results in some degree of income uncertainty - at least at the onset. There are points when the business may not be profitable, and other times when income fluctuates. This feast – famine dichotomy creates the need to have a larger savings balance than normal. With that in mind, it’s important that you have a rainy day fund stocked with at least 6-12 months-worth of living expenses. This cash buffer helps to ensure you have funds to cover essentials when income is far from a sure thing. Ideally, this separate savings account should be established and ready to go well before you dive headfirst into any venture, though it’s never too late to begin setting money aside. Do also make an effort to replenish any withdrawn funds over time. Debt is a critical factor for all entrepreneurs. Make it a point to pay down as much personal debt as you can before getting too far along in your business venture. This includes everything from credit cards to student loan repayment. And once you assume the role of CEO, it’s essential that you strive to keep personal debt to a minimum. Lingering debt will only serve to constrict your financial flexibility, borrowing power and operational efficiency down the road. As a general rule of thumb, it’s prudent to begin the process of debt repayment by first focusing on those obligations with higher interest rates. As much as life as an entrepreneur may consume your time, energy and resources, it’s crucial that you continue working toward a set of predetermined personal finance goals. Whether building a large nest egg through a 401(K)/IRA, contributing to a college savings plan for a young child or setting money aside to purchase that first home, those longer-term financial priorities should always remain top-of-mind, no matter the situation. 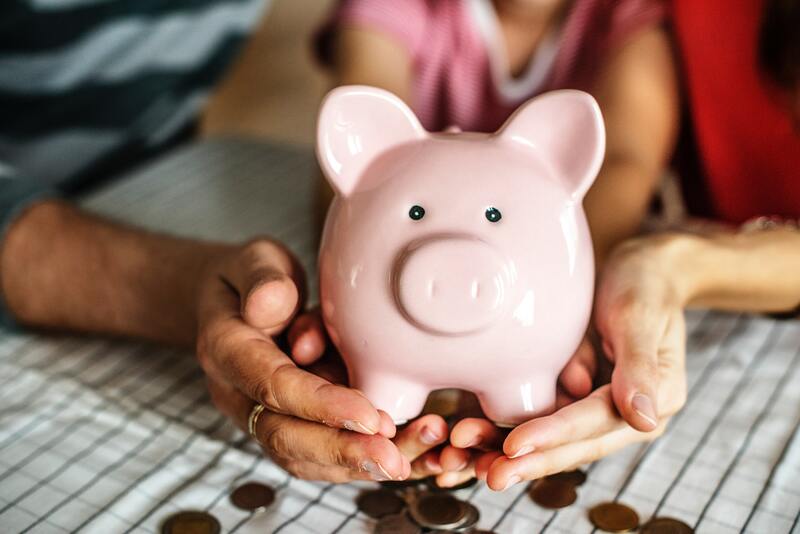 Sacrifice is certainly permitted – and even expected – but your ability to maintain a consistent baseline is key to preserving financial security. To all entrepreneurs, I admire your drive, passion and commitment to making a difference. As you embark on any business venture, keeping pace with your personal financial situation will only serve you well along the way. The opinions of our guest bloggers are their own and not those of 1871. To learn more about Frank Devincentis or Morgan Stanley, head here.